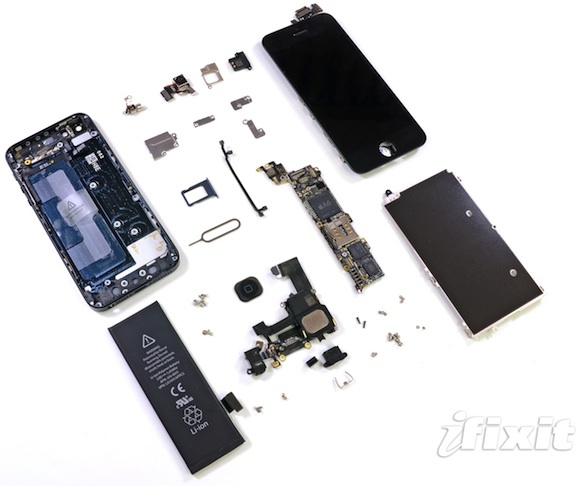 Following word that increased quality control standards for the iPhone 5 assembly process have slowed Foxconn's production and increased stress on workers, The Wall Street Journal shares comments from an unnamed Foxconn executive explaining the difficulty in assembling the device. The executive also addressed the scratching issues that have reportedly been the cause of the increased quality control standards, noting that it is "always hard to satisfy both aesthetic needs and practical needs." The executive also acknowledged tensions between production line staff and quality control inspectors, but declined to offer additional information on the situation that was initially reported as a strike by several thousand workers but later denied by Foxconn. Having inexperienced 14 year old kids on the assembly lines doesn't help either. Did you see this when you visited the factory yourself ?? While I do not condone child labour, the conditions at factories are at least humane. There is opportunity. Not every country is as fortunate as many of us; sitting where we are. Developing nations are developing. While we sit on our high horse of justice, fail to see the true effects of our demands. What if that 14 year old's family couldn't afford an education. The problem stems much deeper than a simple employer-employee relationship. What if, just what if, the 14 year old child that you indirectly-fired by your out cries has now cost that family there whole income. Mum is sick and dad has left her before she could even walk. Please focus your efforts on real problems, not those brought to the surface by front page coverage on newspapers. Why would he have to visit the factory? Foxconn has recently confirmed themselves that they have underage workers. Other manufacturers put a plastic film as protection during manufacturing, usually the first thing you peal of your electronics when you get them. While Foxconn shouldn't have been doing this - it wasn't at a factory that did Apple product assembly (Foxconn makes stuff for many companies, Microsoft etc.). I live in México and there are 14-year old kids working in the tortilla factory next door. Call the cops! And boycott their tortillas! If factories in the USA made these things production would be highly automated, the only reason they use mostly manual processes in China is because labour is dirt cheap. Yeah that's not at all accurate. The iPhone's precision and size doesn't allow for automated assembly. If they could make them with machines they would. Apple would be much happier not worrying about labor standards, strikes, and the bad press it gets from its human assembly force. Is it just me, or does that headline make no sense whatsoever?